The first 20 days of the special legislative session were quite a ride. Now the Legislature has 10 days left with 20 special session items to resolve and no bills on the governor's desk. • Abbott's 20 items, 20 days later. 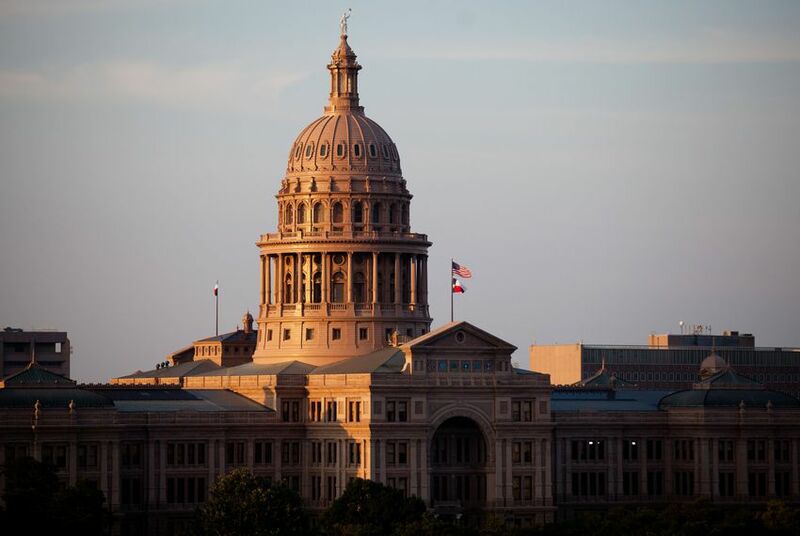 The House and Senate have passed their versions of critical "sunset" legislation keeping several state agencies alive — the primary reason the Legislature is back in town this summer — but a single bill on Abbott's special session call has yet to pass both chambers. The House ended its week, by Texas Tribune reporter Patrick Svitek's count, having approved 24 bills that could relate to eight of Abbott's items on the call. The Senate has passed 20 bills related to 18 items on the call. Speaking of, check out The Texas Tribune's updated tracker on Abbott's special session agenda. • If you thought all 20 items would pass, Ross Ramsey writes in his column today, your cookie has probably crumbled; it's easier to kill legislation in the Texas Legislature than to pass it, and tensions between the two chambers from the regular session that ended in May carried into this summer's special session. Ramsey says this explains the progress state lawmakers have made so far, why Lt. Gov. Dan Patrick's "bathroom bill" hasn't yet moved in the House and why multiple items on Abbott's call are stalled. • A lot can happen in 10 days — says Abbott, who in an interview with KLBK on Friday said the pace of the Legislature this week would be like a "two-minute drill." He later told the Austin American-Statesman he predicted the special session would create a "far better" Texas. Both chambers are expected to work at a brisk pace this week, the governor said in both interviews, to make sure the legislation he wants passed lands on his desk. As for the House spending time last week on items not on the agenda — such as ethics reform or partially reversing Medicaid cuts to disabled children's therapy — Abbott mentioned in his Statesman interview that a recent meeting with House Speaker Joe Straus gave him clarity about how the waning days of the special session may play out. • What are both chambers working on today? The House is meeting at 2 p.m., when they're set to give final approval to school finance-related legislation — which they first approved Friday — and consider a different version of municipal annexation reform than what the Senate voted out a couple weeks ago. Across the rotunda, the upper chamber is in at 3 this afternoon, and two bills are on their calendar: one that would place caps on local spending — a bill that was postponed last week — and another piece of sunset legislation. • Mark White, a Democrat who served as the governor of Texas during the 1980s, has died at the age of 77. • Lt. Gov. Dan Patrick said city governments, particularly those led by Democrats, are causing problems across the nation. • Thousands of advocates flooded a federal agency considering Texas' request to renew funding for its women's health program. • The Texas congressman heading the investigation into Russia election-meddling told the Tribune he may want to chair the powerful House Intelligence Committee in the future. The full program for the 2017 Texas Tribune Festival is now available! Join us for three days of the best conversations in politics and public policy, Sept. 22-24. Check it out. Join us for coffee and a conversation on property taxes with state Sens. Paul Bettencourt, R-Houston, and Kirk Watson, D-Austin, on Wednesday, Aug. 9. 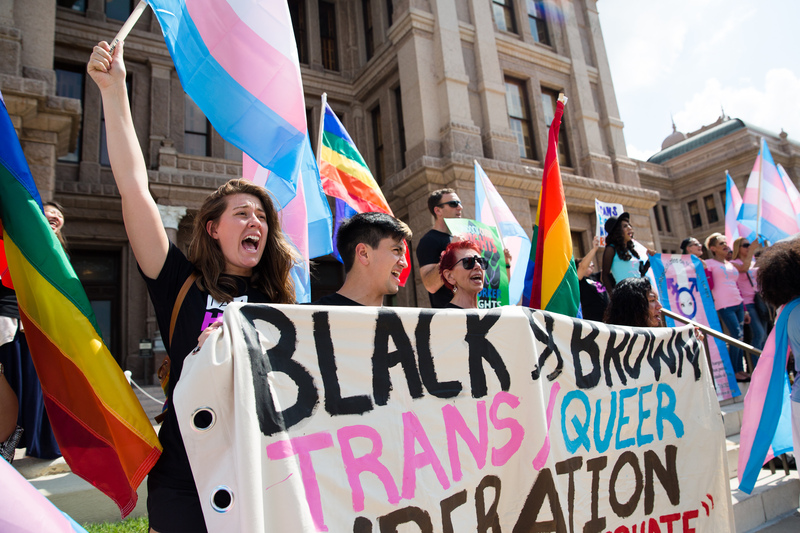 LGBT people of color, immigrants and their supporters gathered at the Texas Capitol on Aug. 4 to protest the "bathroom bill" and "sanctuary cities" legislation. Photo by Austin Price. See more photos on our Instagram account. "I sound like Donald Trump, but it's true because every one of my guys, my peeps, they're the best." — U.S. Rep. Mike Conaway, about his House Agriculture Committee staff.